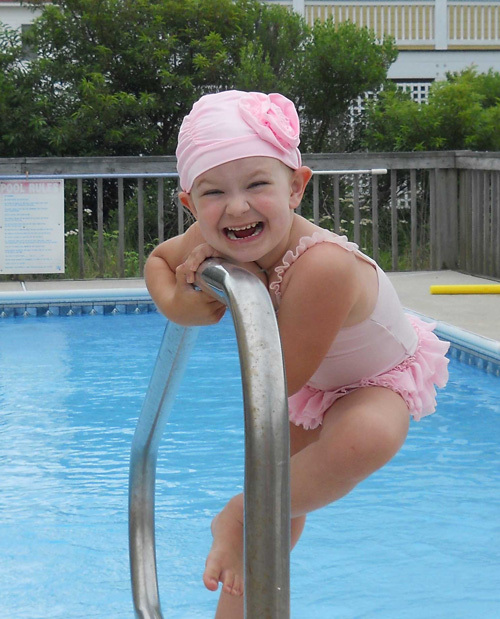 You are looking at a fashionable lycra hot pink swim cap! It has ruching and a large�rose. It would make an adorable addition to any swimming ensemble. Please keep in mind that sizing does vary depending on fabric and other variations. ♥ Fancy caps are made to order.� Please allow two weeks for the making of this swim cap. 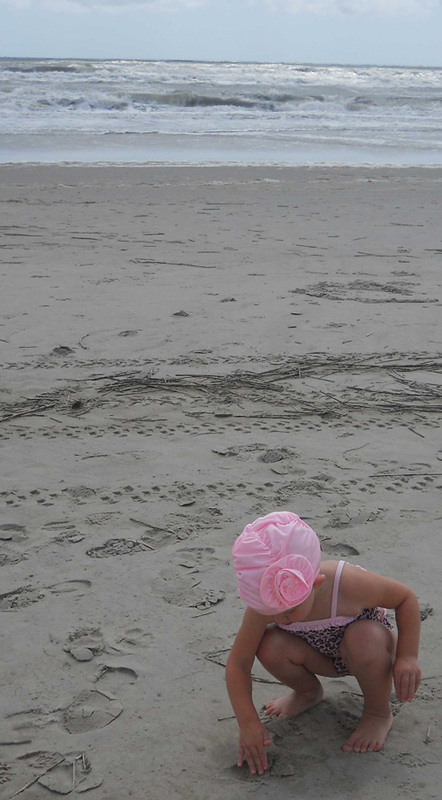 ♥ IMPORTANT: These hats are looser than my traditional swimming caps. They are made to be comfortable and cute. 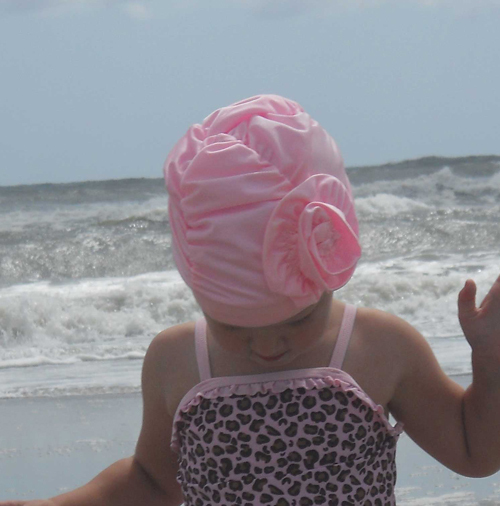 They will not stay on very well when going under water or jumping in the pool, but they are perfect for wading, infant swim lessons, playing at the beach, or just as protection from the sun while hanging out at the beach or pool. Wearing one of my traditional caps in a coordinating color underneath this one will help it to stay on better. ♥ This listing is for a cap in the colors shown. I can do other color combinations, please contact me first if you'd like something other than what is shown.